Transfer Music, Photos, Messages, Contacts and much more from your iPod, iPhone or iPad to your computer or iTunes. 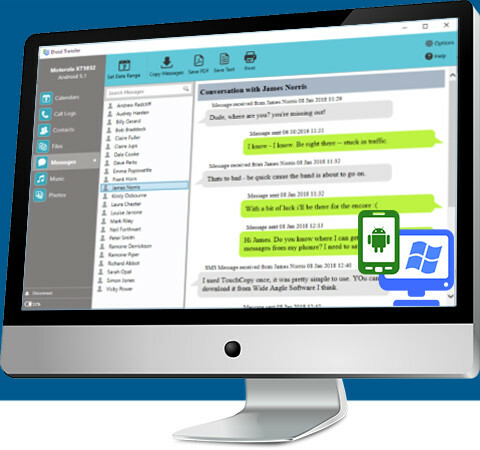 Wirelessly transfer Messages, Contacts, Music, Photos and other files from your Android Phone to your PC. Clean up your iTunes by removing duplicate songs and fixing missing or incorrect track details. 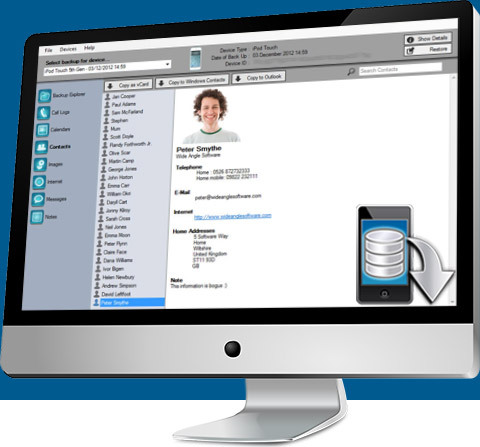 Retrieve lost or deleted iPhone SMS, Photos and Contacts from your iTunes backups. Complete your music collection. 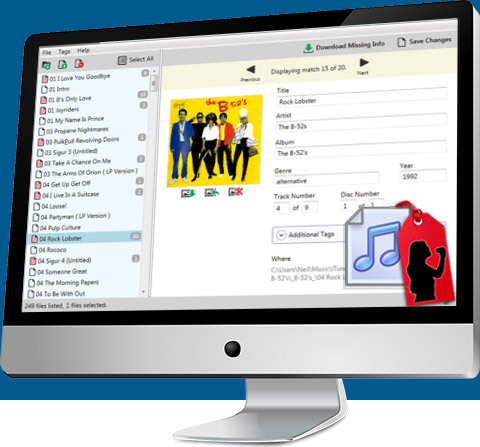 Automatically download missing track information and artwork to your music files. Recover wasted space on your hard drive. 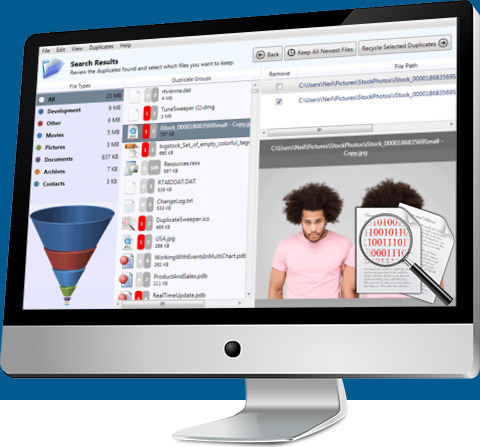 Quickly detect, select and remove duplicate files on your PC or Mac. Convert PDF documents to Word, Excel, JPEG, PNG and many more formats. 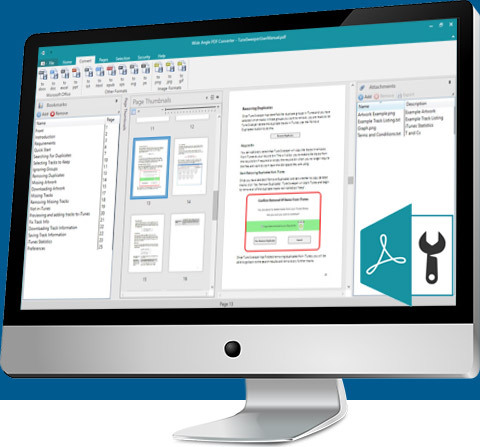 Edit and Secure PDF Documents on your PC. Here at Wide Angle Software we believe that programs should be easy to use, look good, and most of all should provide a great experience for you, the consumer. 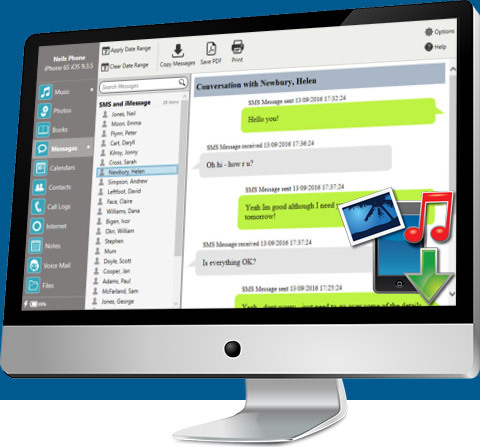 We specialize in media management software and applications for Windows, Mac, iOS and Android and have been developing software and supporting our customers all over the world for more than 12 years! In particular, our solutions for backup and retrieval of lost or deleted iPhone and Android phone music, photos, messages and other media have been highly rated and sought after. All our apps offer either free demo trials or can be downloaded and used completely free. 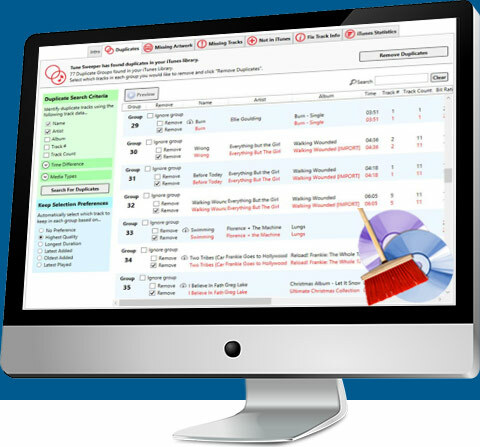 For a complete list of our software, please visit our products page.